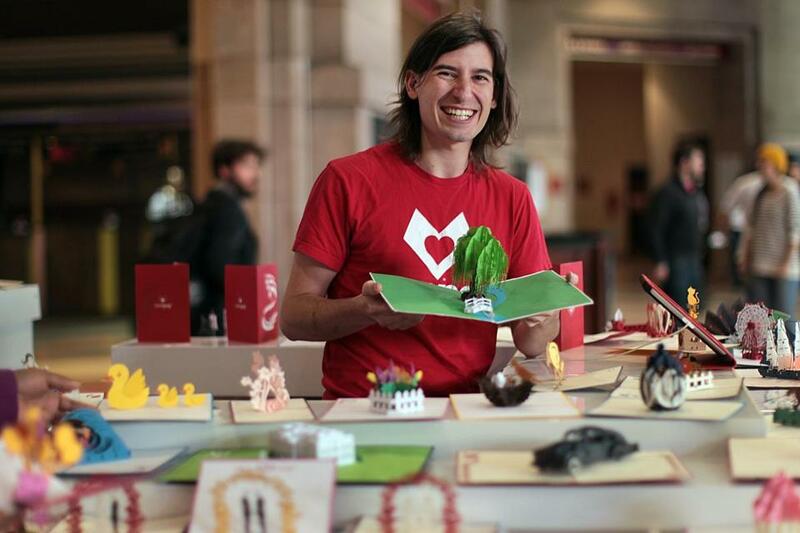 Former naval architect Wombi Rose brings serious design skills to his pop-up cards. LovePop cards are magical 3-D pop-up cards where beautiful sculptures emerge from a seemingly ordinary greeting card. My partner John [Wise] and I are originally ship designers, and we fell in love with kirigami, which is this blend of Chinese paper cutting and origami architecture. We realized how similar it was to the process by which you build a ship and that we could use our skills to create any kind of shape in a beautiful card. What took it to the next level is seeing the reactions our early customers had. Their faces light up and they’re like “How did this work? This is so cool!” The greeting card industry hasn’t changed in a long time. We have an opportunity to fix the customer experience. Customers come back and say, “I sent it to my mom and she put it on her dining room table” or “I gave this to my colleague and it’s still on his desk.” If you send something digital, they’ll look at it once and that will be that. If you send a LovePop, there’s a good chance they’ll remember you every day when they see that card. My favorite part is watching customers open cards, and my close second is seeing the new prototypes. When our design team comes out with a card, I feel like a kid at Christmas. I’m like “Oh, let me see that one, let me see that one.” You have to love what you’re getting into and you have to know that you want to do it. Everything else you can learn. A lot is between me and John in this business and bringing it to life. It pays to have a partner that you can trust, that will be beside you come hell or high water and is every bit as passionate as you are about what you’re doing and making it a success. A SURPRISE IN EACH ONE Check out LovePop’s array of cards at lovepopcards.com.